Jack Fowler from Oulton Broad near Lowestoft was a prisoner-of-war at Kinkaski prison camp in Taiwan for over three years. The grant enabled Jack to return to Taiwan and Hong Kong with his wife Pearl and daughter Bridget at the beginning of November. When I visited Jack he was being filmed for one of the short films BIG is producing about veterans returning to the places where they saw combat. It was utterly amazing to hear about Jack’s experiences that he remembers so well, and that vividly depict the horror and chaos of war – experiences that I can only imagine. Jack also showed me many photographs from his days in the army – some of him a young boy of 16 technically too young to enlist but he did so nevertheless. He also showed me a photograph of his father, a soldier in the Buffs (Royal East Kent Regiment) in the First World War. 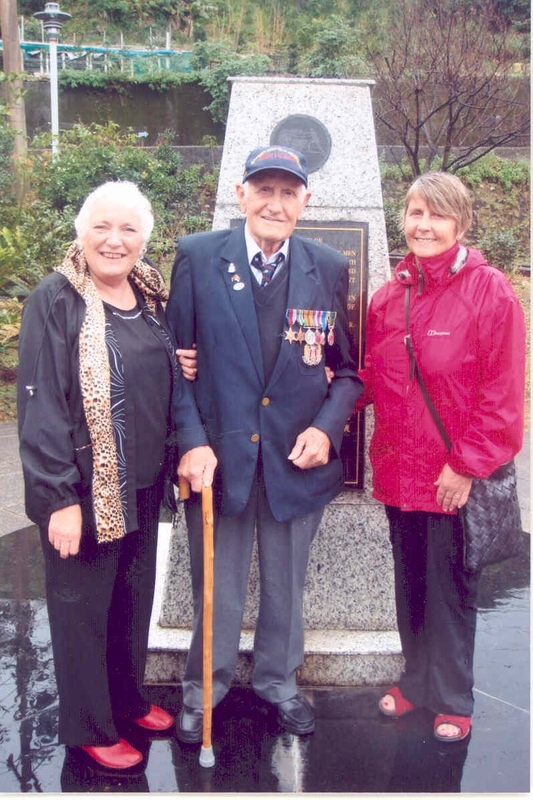 Jack’s spoke of his trip to Taiwan and Hong Kong as atime for him to remember the men, some of them his good friends, that didn’t make it back from the POW camp, and also to meet up with the men who survived and share their stories. It was an honour to meet Jack and his wife Pearl who made the film crew and I very welcome. Jack was a natural in front of the camera too which made life very easy for the film crew!